Indulge in some truly luxurious moments in the beauty area of the Alpin Hotel Masl. All our Alpine Wellness treatments are tailored to meet your individual needs. We use premium-quality cosmetic products whose base extracts come from our mountainous region and quality herbal oils from local producers. By harnessing the power of nature all around us, we benefit from its soothing effects. Pleasure and regeneration: natural baths in the Vitalis steam bath with valuable ingredients will unleash hidden powers. Let gentle hands activate your bodily powers and open up new energy flows. Our massage offer ranges from sports & vitality to anti-stress massages. Simply talk to our masseurs! Tightening, nutritious, revitalising. 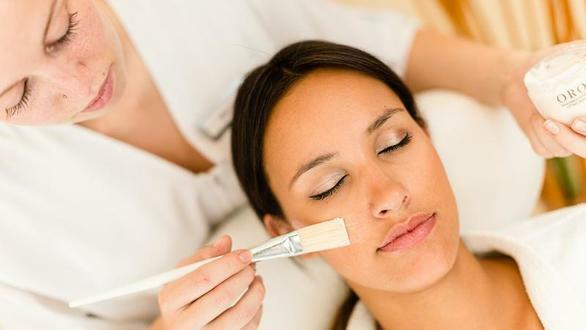 Our facial treatments are beneficial for skin and appearance and will provide you with a young and fresh look. Wellbeing from head to toe. Listen to your body: and you will know which treatment is right for you. Overall regeneration and spoiling yourself with little treats. Our packages are ideal for fulfilling special pampering wishes!